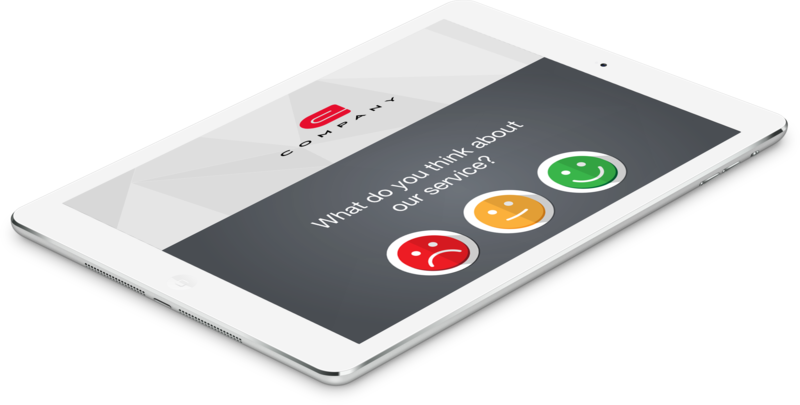 iFdbak is an iPad App that stores your customers feedback in an incremental CSV file. 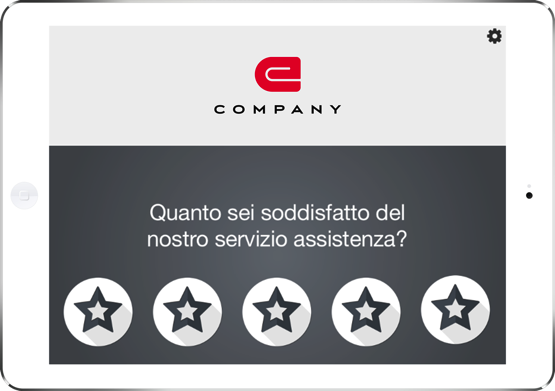 Nothing makes it easier to track and analyze your service level. Simple to setup. Fully customizable. Remote data management. On your iPad. Style your App by yourself: create your backgrounds and upload them via iTunes. Change your question as often as you like. It’s easy! 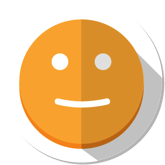 Smiles or stars: pick the one that fits best for your kind of feedback. 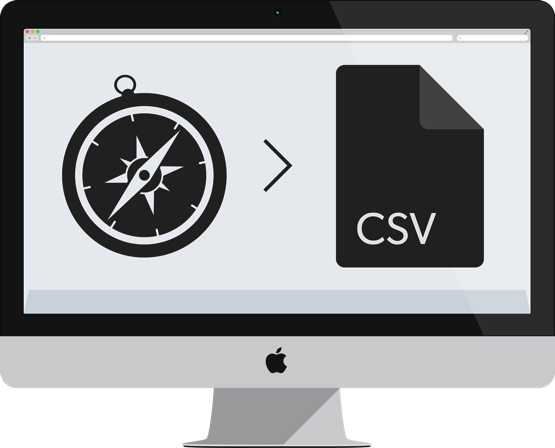 Download the CSV file on your computer. Analyze your feedbacks with your favorite software. Take a look at the quick start guide and you will realize why you will be able to use iFdbak in less than 1.45 minutes. Test us! Remember: if you are looking for effective feedback, make sure you spend some time working on your text. You can use a maximum of 120 characters for each of two phrases. The first will be used as your question, the second will represent your thank you message. 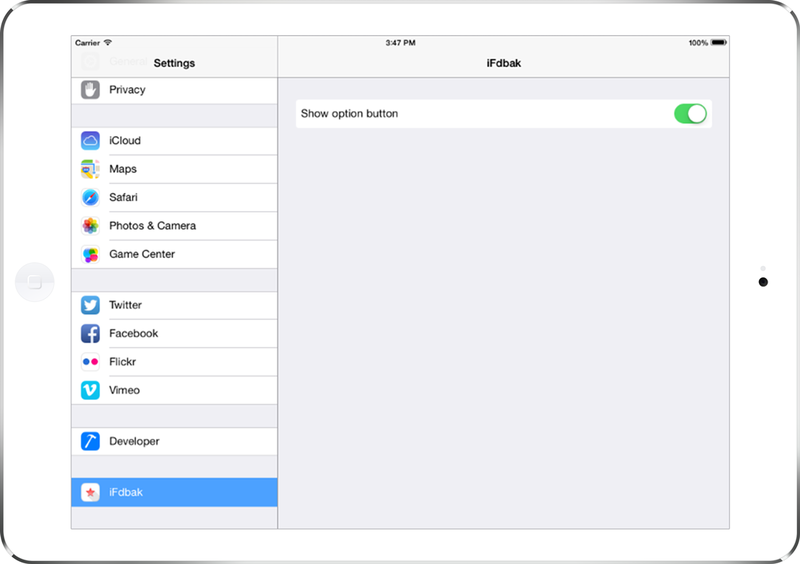 Open the iOS Settings App on your iPad and pick iFdbak App; switch on the Setup Mode and open your App again. Now tap the upper right corner button and add your text (you can also pick between Smiles or Stars as your preferred icons). Finally, go back to Settings and disable Setup Mode. Here you are: ready to go! No-frills: single App mode, focus on feedbacks! Set a passcode: only the person you trust will be allowed to enable/disable the single App mode feature. Switch to iFdback App, triple click the Home Button, disable Hardware Buttons and tap Start. Choose your style, write your text and pick the icons you prefer. Easy. All plans are fully functional. Use Apple certified in-App Purchases and Subscriptions to select the one that fits you best. Select iOS Settings App on your iPad, then tap Wi-Fi and then the “i” button next to your SSID name. Take note of the IP Address you see. Open your browser and visit http://ipad-ip:36895/export.csv, replace ipad-ip with the number you collected earlier. YOU CAN TEST IFDBACK FOR FREE (COLLECTING UP TO 5 FEEDBACKS/MONTH). ONCE YOU ARE READY TO GO LIVE WITH YOUR CUSTOMERS, UPGRADE TO UNLIMITED FEEDBACKS WITH ONE OF THESE PLANS. Collect unlimited feedbacks for one full month. Activate a subscription to be prompted (opt-in) for renewals. Collect unlimited feedbacks for an entire year. Activate a subscription to be prompted (opt-in) for renewals. Get the deal! Lifetime unlimited feedbacks. No worries for subscription renewals, just use it for as long as you like. Open iOS Settings App, then tap iFdbak icon in the master view on the left panel. Activate Setup Mode by tapping on the switch button. 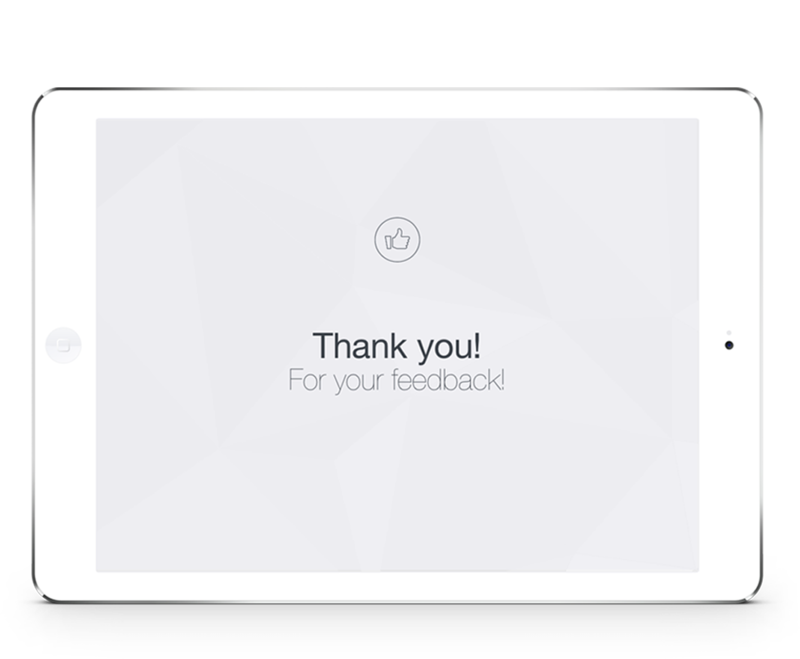 Tap on Unlimited feedbacks button and choose your plan. © 2014 Magnetic Media Network S.p.A - All rights reserved.